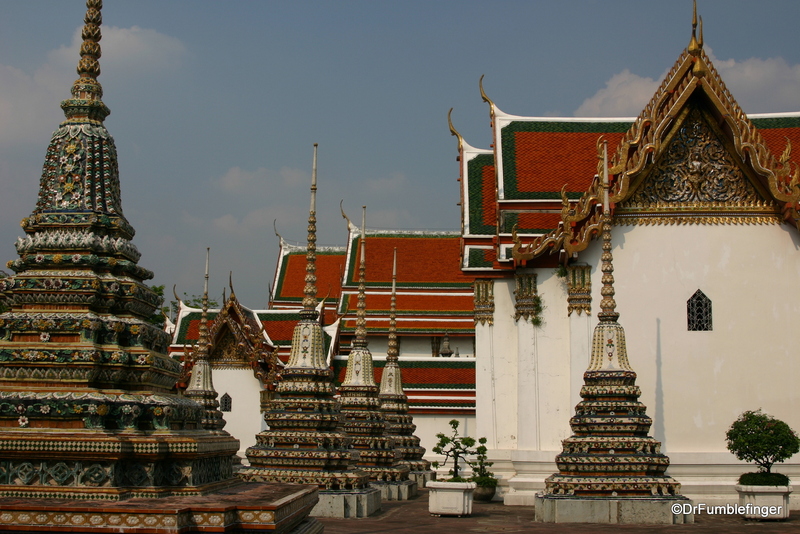 Wat Pho (the Temple of the Reclining Buddha), also known as Wat Phra Chetuphon, is located beside the Grand Palace and its Temple of the Emerald Buddha. It’s very easy to visit both the Grand Palace complex and Wat Pho in one day as it’s just a 10 minute walk between the two entrances. I’d recommend first visiting the Grand Palace before coming here because Wat Pho is a more relaxed environment that you can visit casually and unwind at after the hectic chaos of the Grand Palace complex. 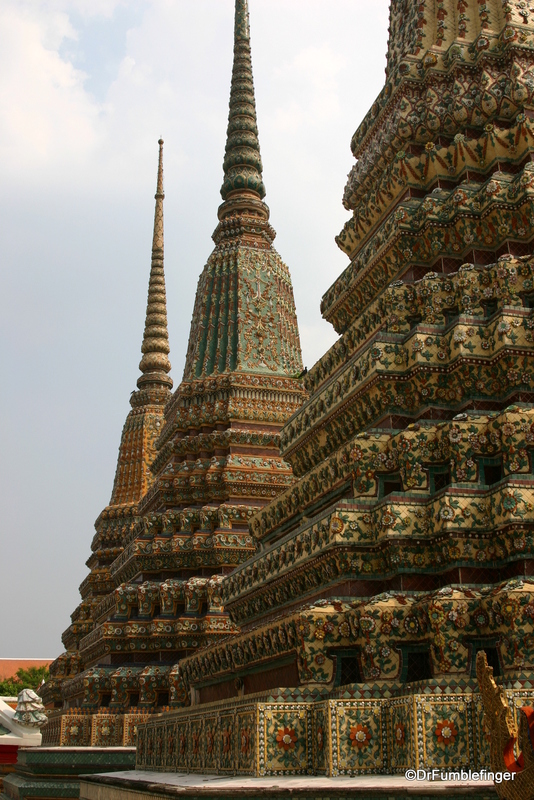 Wat Pho is one of the largest and oldest wats in Bangkok and is home to more than one thousand Buddha images. 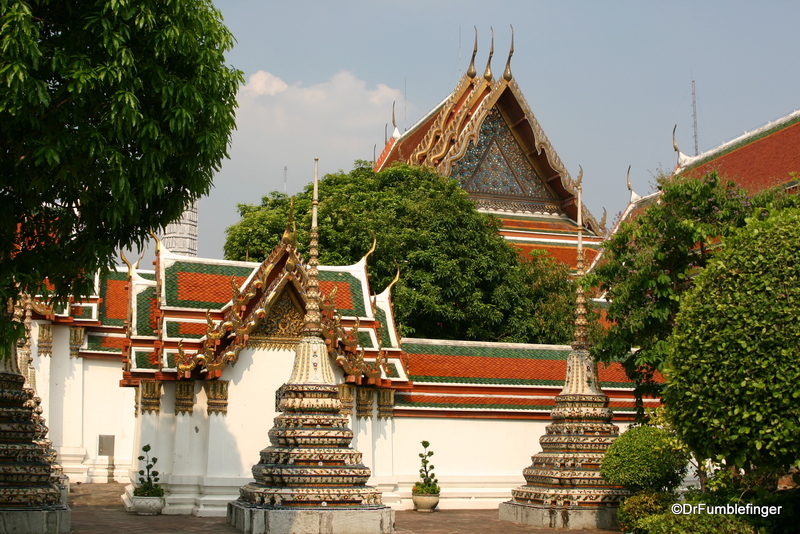 The Wat Pho complex actually consists of two separate walled compounds. The northern walled compound is where the famous large Reclining Buddha statue is located; a Thai massage school is also situated here (massage anyone?). The southern walled compound is a working Buddhist monastery with monks in residence and a school. 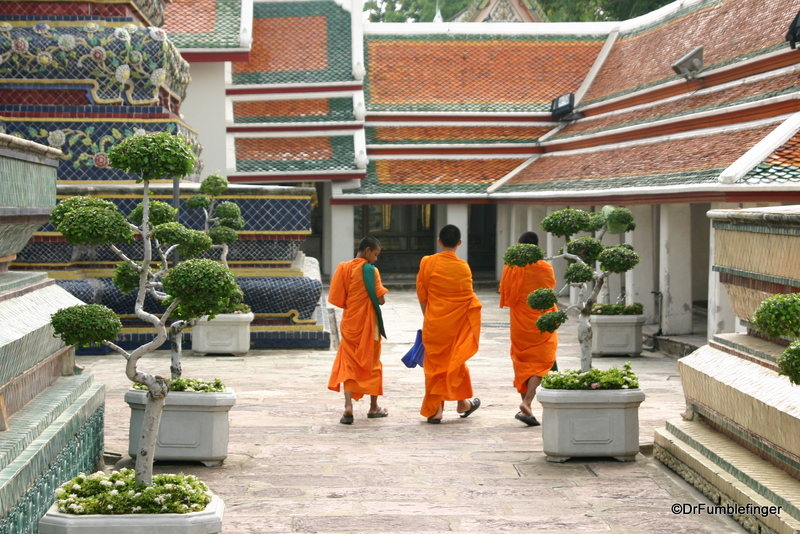 It’s likely the three lads in our highlighted photo were from this part of Wat Pho. 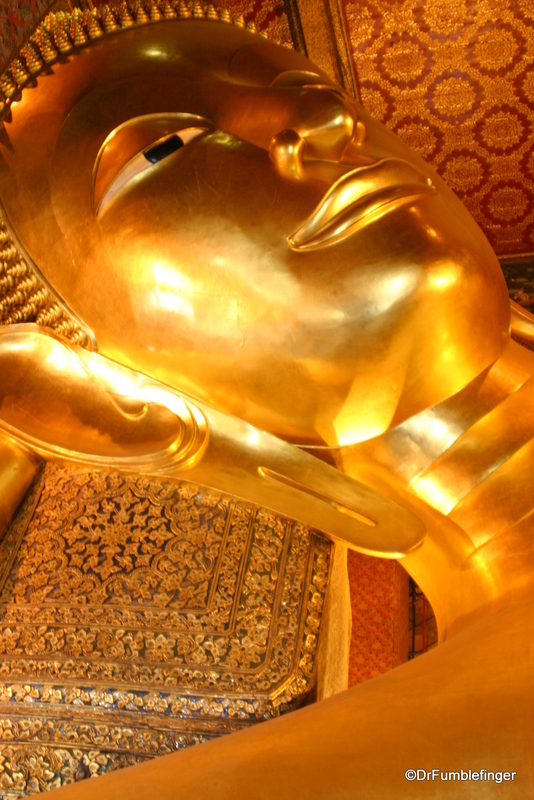 Wat Pho’s giant Reclining Buddha measures 46 meters (150 ft) in length and is covered in gold leaf. The golden Buddha is in a long and narrow hall and the image is said to represent Buddha just before his death (entering Nirvana). Because of the narrow nature of the room, it’s difficult to get a photograph that does justice to the scale of the immense Reclining Buddha. The detail of the Buddha statue is remarkable, with Buddha’s head resting on his right arm and several glass mosaic pillows. 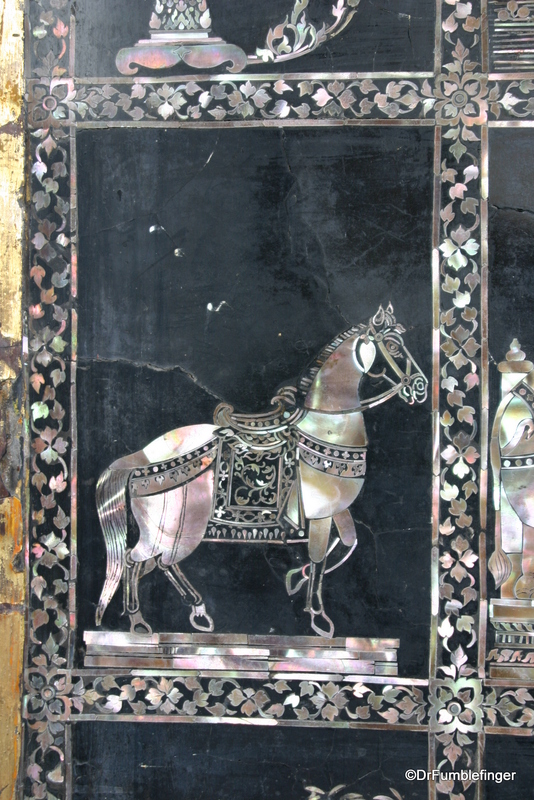 Be sure you walk all the way to the feet to see the beautiful inlaid mother-of-pearl art here. 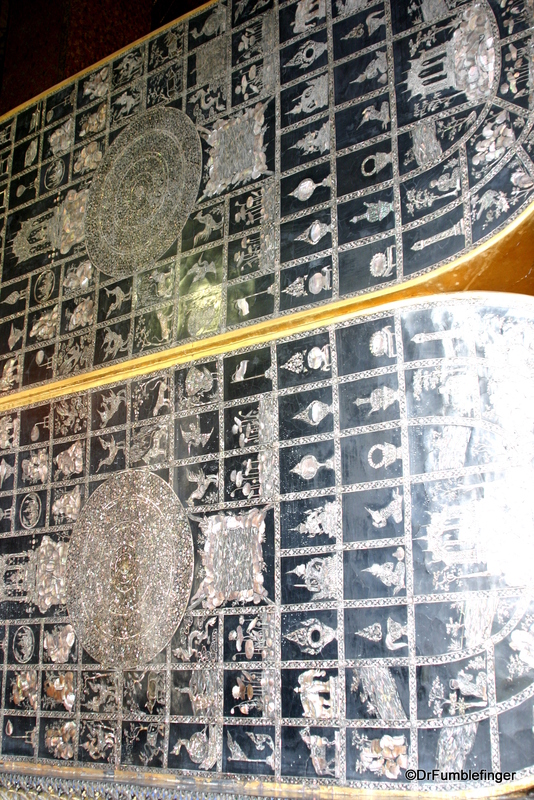 There are over 100 images of Buddha’s life detailed on the soles of the statue’s feet. 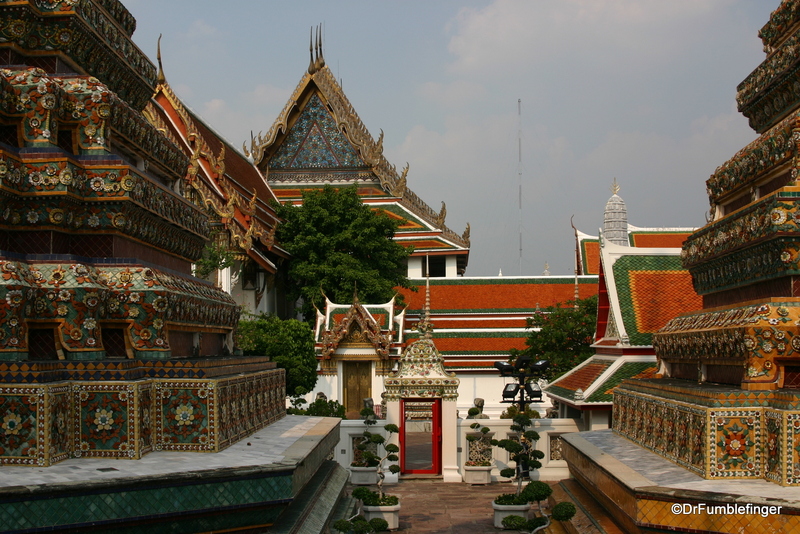 And after you’ve seen everything, sit down on one of the benches of Wat Pho and relax. 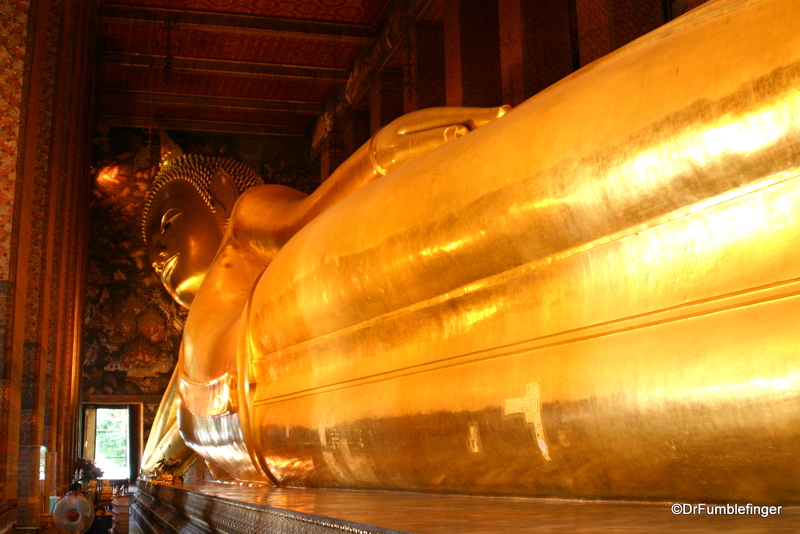 You’re likely to be alone here because most visitors to Wat Pho just quickly visit the Reclining Buddha, then leave. As you’re sitting, take in the fine and elegant detail of the place. There’s so very much to see here….but sometimes the image of 3 young Buddhist novices is what you most remember.